Some fun snaps from Instagram the last 2 weeks. 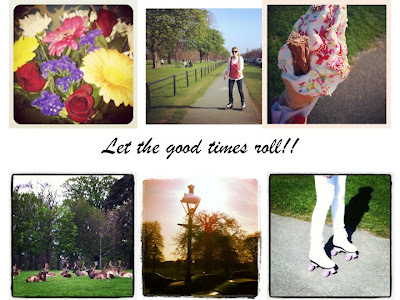 We went rollerblading in the Phoenix Park and ate some delicious ice-creams. 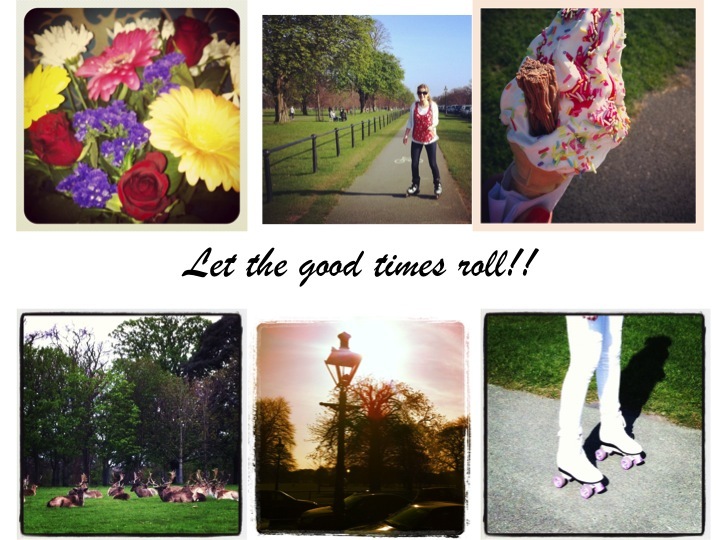 It was like a trip down memory lane on the rollerblades. They weren't mine but I had so much fun on them that I went and bought myself a pair last week. When I went back to the park yesterday, I saw lots of deer and what I beautiful sight it was. The flowers were a lovely surprise from my wonderful boyfriend - no reason surprise flowers are the best kind aren't they!? visit my blog, if you want, we can follow each other via GFC! Mmm, that ice cream looks so yummy! I'm loving your blog girl, I'm your newest follower! I hope you'll follow me back and we can keep in touch. I love discovering new blogs! Super cute photos! Everything looks like a total blast!